Spirituality and religiousness have been shown to be highly prevalent in patients with schizophrenia. Religion can help instil a positive sense of self, decrease the impact of symptoms and provide social contacts. Religion may also be a source of suffering. In this context, this research explores whether religion remains stable over time. From an initial cohort of 115 out-patients, 80% completed the 3-years follow-up assessment. In order to study the evolution over time, a hierarchical cluster analysis using average linkage was performed on factorial scores at baseline and follow-up and their differences. A sensitivity analysis was secondarily performed to check if the outcome was influenced by other factors such as changes in mental states using mixed models. Religion was stable over time for 63% patients; positive changes occurred for 20% (i.e., significant increase of religion as a resource or a transformation of negative religion to a positive one) and negative changes for 17% (i.e., decrease of religion as a resource or a transformation of positive religion to a negative one). Change in spirituality and/or religiousness was not associated with social or clinical status, but with reduced subjective quality of life and self-esteem; even after controlling for the influence of age, gender, quality of life and clinical factors at baseline. In this context of patients with chronic schizophrenia, religion appeared to be labile. Qualitative analyses showed that those changes expressed the struggles of patients and suggest that religious issues need to be discussed in clinical settings. The authors thank all the patients for their precious and enriching testimonies. This study was supported by grant 325100-114136 from the Swiss National Science Foundation. A 23-year-old man with paranoid schizophrenia rejected his previous spiritual outlook on life in favor of a more mundane one. He had used religion as a means of coping with delusions and hallucinations for several years. At baseline, he had reported that Buddhism was the center of his life and that he planned to become a monk. Meditation helped him consider his voices and delusions as symptoms of an illness and thus not to be feared. Three years later, he reported that he had renounced becoming a monk, in accordance with his Buddhist master. He had had very rough times after giving up his reason to live. He relapsed with street drugs, attempted suicide, and was hospitalized for several months with severe psychotic symptoms. Finally, he found new purposes in his life (living independently and working) and joined a reinsertion program. He reported: “I have learned a lot from Buddhism; it is a part of my identity; it belongs to me, but nowadays I don’t practice meditation anymore. It’s being in relationships with other people that give meaning to my life”. 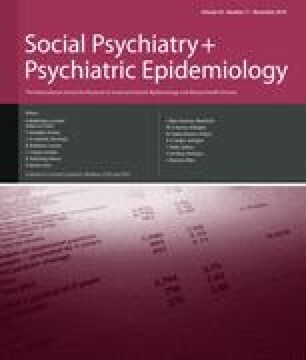 As an example of shifts between positive religion and delusions with religious content over time, a 32-year-old man with schizo-affective disorder reported at baseline that religion had sustained him when he lost his wife and his job. His psychotic illness began with manic symptoms. He said, “I was drinking alcohol and smoking cannabis. I prayed to God to heal me and, once, as I was praying with friends, I felt that I was Jesus-Christ and that I had healing powers. After that, there was a lot of confusion, and I was hospitalized for the first time. But, from this experience of feeling that I was Jesus-Christ, I continue to feel that I am a respectable person, whatever I have lost. And God gives me the strength to fight against sadness and the desire to die”. However, at the 3-year follow-up, he had abandoned his previous religious practices and religious community. He also reported that he had dropped out of his psychiatric treatment under a delusion of influence with religious content: “It wasn’t me who decided to stop seeing the psychiatrist and stop taking the medication; it was God. God entered into me and took control of my life, for the good and the bad.” He denied his illness. As an example of this transformation, a 45-year-old man with paranoid schizophrenia had reported at baseline that he had greatly suffered after being rejected by his religious community. “What happened to me was very hard. The spirit group cannot tolerate the fact that I smoke cannabis. I tried to quit several time, but I failed. I have lost all my friends. I have lost the meaning in my life. I no longer believe in spiritism.” Three years later, he reported that he had spent a few months at the hospital after a suicide attempt. During his stay, he regularly met with the chaplain, and then he joined a Christian community. He said, “Now, when I feel very deep sorrow, I read the Bible, and I find consolation in Jesus-Christ”.